A very attractive and especially tough fern. Tall, narrow fronds make this an ideal choice for a specimen fern. It is very tough and drought tolerant, ideal for dry-shade planting with the appropriate ground preparation. Not fussy on soil type or condition and happy in full or partial shade. 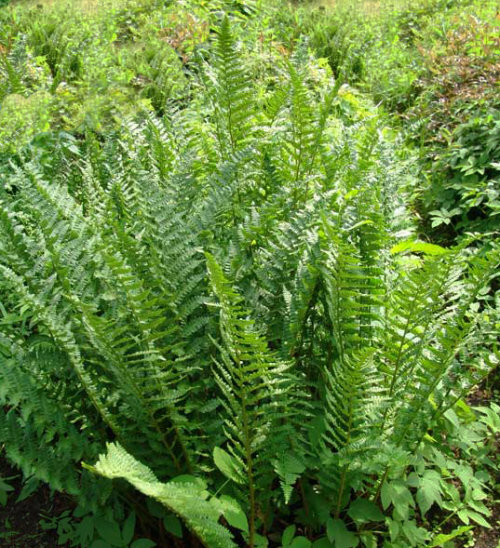 This was considered one of the finest and rarest of British ferns in the Victorian era of Pteridomania. It is characterised by its horizontal pinnules, making it airy and like a 'Laddr of the Fairies'. It was discovered by Mr J.M. Barnes in Westmoreland (now Cumbria) in 1865. His description of its discovery is wonderful "L. montana Barnesii (the old name) was found on a bare mountain side exposed to the north, it grew on a slightly raised breast or ridge of earth close to a spring of water; there were three or four separate and good-sized plants; -its aspect to any Fern-hunter would have been most startling, to me it was astounding; here on a bleak mountain side, where other ferns were stunted and starved, stood this marvellous-looking plant, with its bold, upright, narrow fronds, two feet high, its dark green colour, its pinnules, standing in their particular way, and its robust habit, utterly unlike anything I had ever seen in creation; I believe my first feeling was that I must be in a dream, -then next that it must be a new species, -and when I found it to be a montana I sat down to admire it, feeling the happiest of Fern-hunters."